Golf courses are one of the many sectors that use increasingly large amounts of water and especially during the seasonal peak. Utility companies are struggling to meet demands. Many clubs are looking at ways to save money on their expenditure so one of the ways to achieve the savings is to use a borehole for course irrigation. 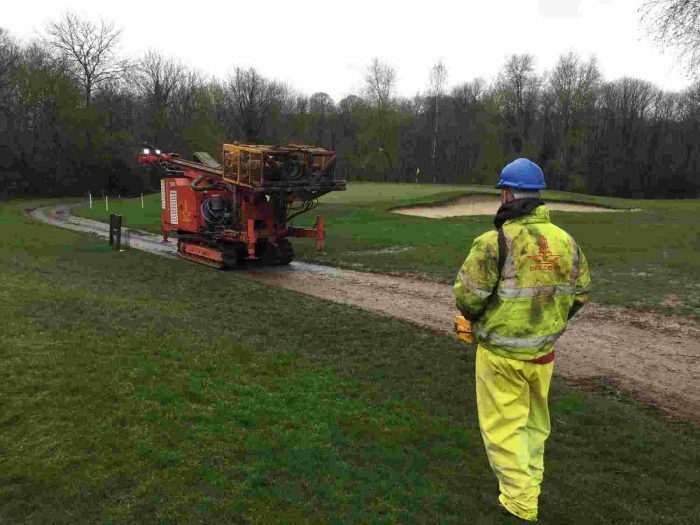 Maintaining courses is costly and difficult. The areas of fine turf are under constant use from golfers, carts and spectators. All courses are different and are never uniform with slopes, bunkers, and irregular shapes making watering difficult, this can lead to using excessive amounts of water. An average size golf course watering greens tees and approaches only, will use more than 100m3 of water per night to maintain a healthy playable surface under dry conditions like last summer. Unlike trees and shrubs the grass on the greens and tees has very little capacity to store water and dries out very quickly in hot temperatures and strong winds. Water can be abstracted from a Borehole to a water storage facility before being distributed around the course to water the fine turf along with anything else. Winter storage reservoirs are a good form of emergency backup in case of any operational problems or prolonged drought. It is a sustainable solution since the water goes back into the ground. There is no chlorine or fluoride in the ground water so the greens will benefit from stronger growth. A borehole depth will depend on the geology of the particular location along with the fractures within the bedrock, they are generally between 50 to 100 metres and in some cases up to 150 metres. Capital expenditure on Borehole installations can normally be recovered within a 3 to 5 year operating window. 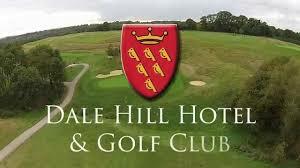 Drilcorp were recently contracted by Dale Hill Golf Course in East Sussex to carry out a borehole installation. The borehole was required to replenish the current pond during a 24 hour period, thus replacing the daily needs of the irrigation system so that the water level in the pond remains constant. The system will only run during the irrigation season from March to the end of October each year. Prior to the installation the client had instructed 2iC Consulting Engineers to undertake a full analysis of the water requirements of the 36 hole Golf Couse and recommend the way forward. The results of the survey showed a good prospect of a deep borehole to be able to maintain the daily requirement of the two courses. They then designed the borehole, so after extensive discussions with the Environment Agency the final approval to drill was obtained. This report included a desktop study of the geological and hydrological information along with an onsite survey of the surroundings and local water courses, it is important to establish the full information, in order to save time and money when planning a borehole. The abstraction report gives a much clearer indication of the potential quality and quantity of groundwater available at a particular location. It is also used to help with the design and installation of the borehole. 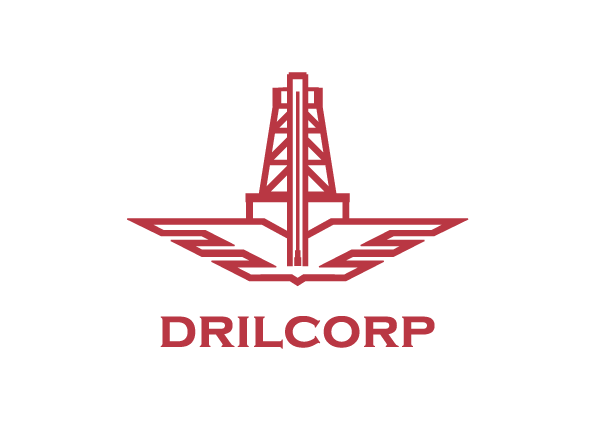 Drilcorp carried out a borehole on the site suitable for the installation of a submersible pump and a supply of in excess of 20 m3 per hour. The Beretta T151, which has a 20 tonne pullback, was on site and it has a capability of drilling to between 300-400 metres. Being on tracks this was the ideal machine for the location deep within the course some distance from the access. The drilling was not without its problems. The crew encountered not one but two aquifers below the surface. The first aquifer is being used as a public water supply and therefore could not be utilised for this purpose. Drilling to 141 metres through the lower Tunbridge Sandstone they arrived at the water in a second aquifer, within the Ashdown Sandstone Formation at a rate of 40 m3 per hour. Following the casing and grouting of the borehole, yield tests were carried out and samples sent off for testing. The client had said that prior to the installation of the borehole the greens were so dry that they were cracking and the water from the pond was not adequate. The new borehole will deliver the water to the irrigation pond where it is pumped around the course as required to keep the fine turf at their optimum condition. The abstraction licence will be sought from the environment agency.